Chris O'Dell wasn't famous. She wasn't even almost famous. But she was there. She was in the studio when the Beatles recorded The White Album, Abbey Road, and Let It Be, and when Paul recorded 'Hey Jude,' she sang in the chorus. She typed the lyrics to George Harrison's All Things Must Pass. She lived with George and Pattie Boyd at Friar Park, developed a crush on Eric Clapton, and unwittingly got involved in the famous love story between Eric and Pattie. She's the subject of Leon Russell's 'Pisces Apple Lady,' a song he wrote to woo her. Other rock legends with whom she was intimate include Ringo, Mick Jagger, and Bob Dylan. She worked with the Rolling Stones as their personal assistant on their infamous 1972 tour and did a drug run for Keith Richards. She's 'the woman down the hall' in Joni Mitchell's song 'Coyote' about a love triangle on Bob Dylan's Rolling Thunder Revue tour. She's the 'mystery woman' pictured on the back of the Rolling Stones album Exile on Main Street. She's the 'Miss O'Dell' of George Harrison's song about her. 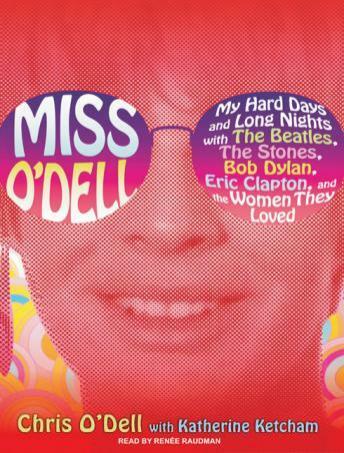 Jam-packed with intimate anecdotes, Miss O'Dell is a backstage pass to some of the most momentous events in rock history.